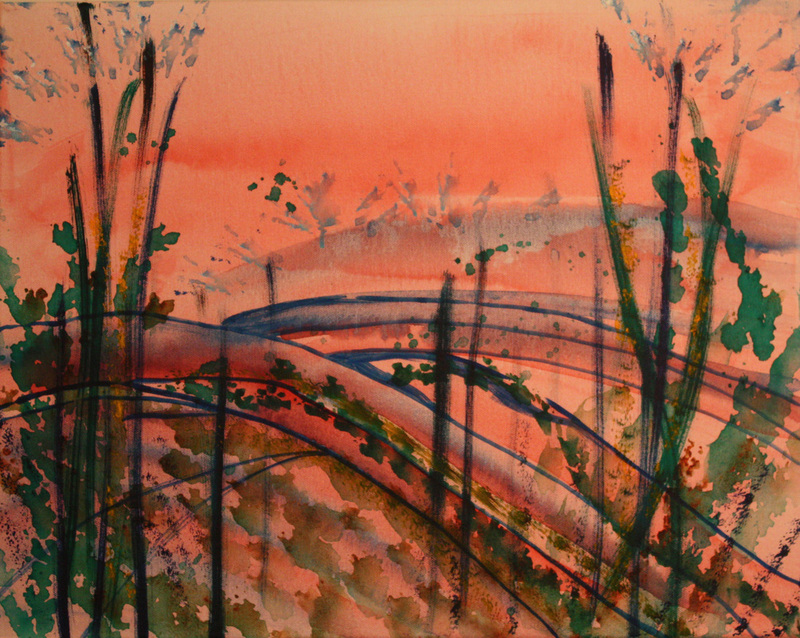 The landscape abstract painting reflects a pink and peach colored sky on a cool summer morning. I added some water with the red and blue acrylic paint and swept it across a canvas. Then I left it to dry. The next morning, I awoke early and sat on my patio to write in my journal. The sky was the exact same color as the paint I had applied the day before. I basically just started from there and enjoyed experimenting with the watercolor effect.